Hard back binding in publisher's original navy cloth covers, gilt lettering to spine and upper panel. 8vo 8¾" x 5¾" 204 pp. Well illustrated with monochrome photographic illustrations on semi-glossy paper. 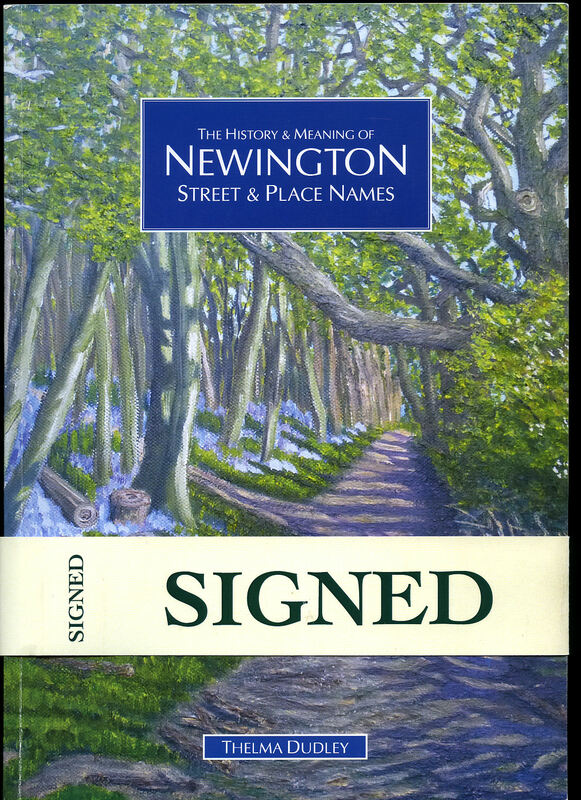 SIGNED by the author in blue fountain pen to frontispiece 'Sincerely Yours Geo Andrews'. 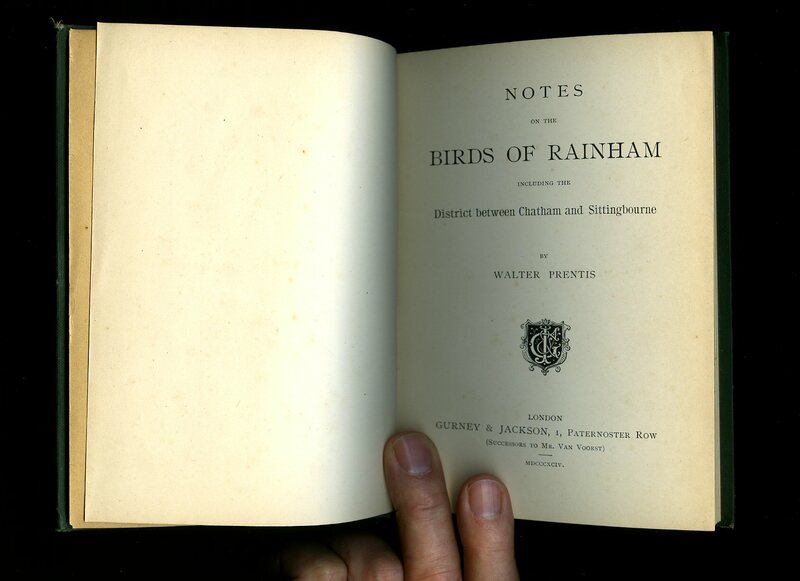 Light rubbing to spine tips and corners, without inscription and in Very Good condition, no dust wrapper. Member of the P.B.F.A. 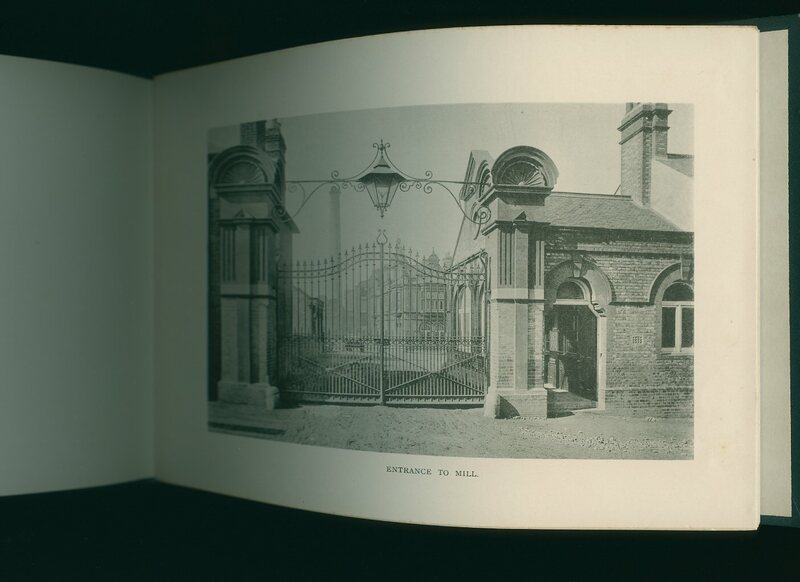 Published by Gurney and Jackson, 1 Paternoster Row, London First Edition 1894. London 1894. First edition hard back binding in publisher's original dark racing green cloth covers, slightly faded gilt lettering to the spine, black paper end papers. 8vo 7½'' x 5¼'' 92, iv [page]. 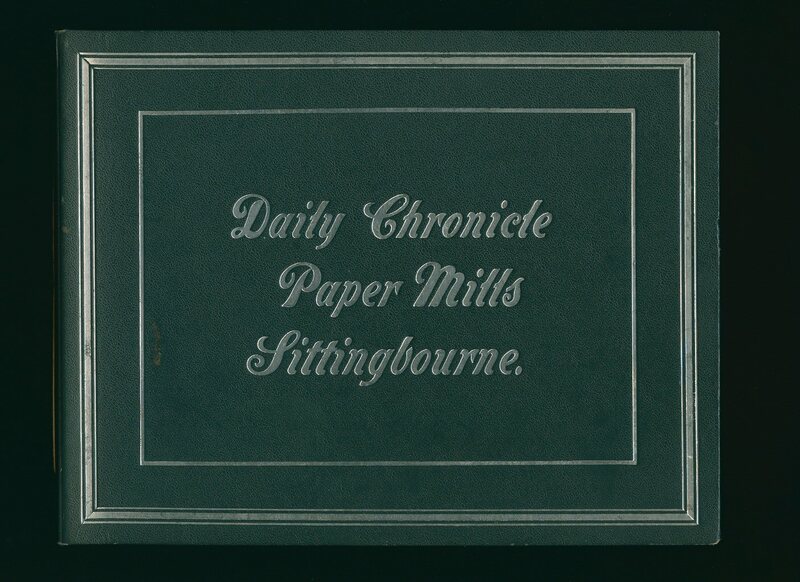 Small white name label to the front free end paper, 50 % of the lower end paper cracked from the bottom up to the centre, hinges still sound and tight, in Very Good clean and bright condition, no foxing, no dust wrapper as published. Member of the P.B.F.A. Post Office Dated 1908. 1908. 5½'' x 3½'' used colour post card. Post Office mark and date, stamp, address and personal message to the reverse. Light scuffing across the top edge and in Very Good condition. Member of the P.B.F.A. 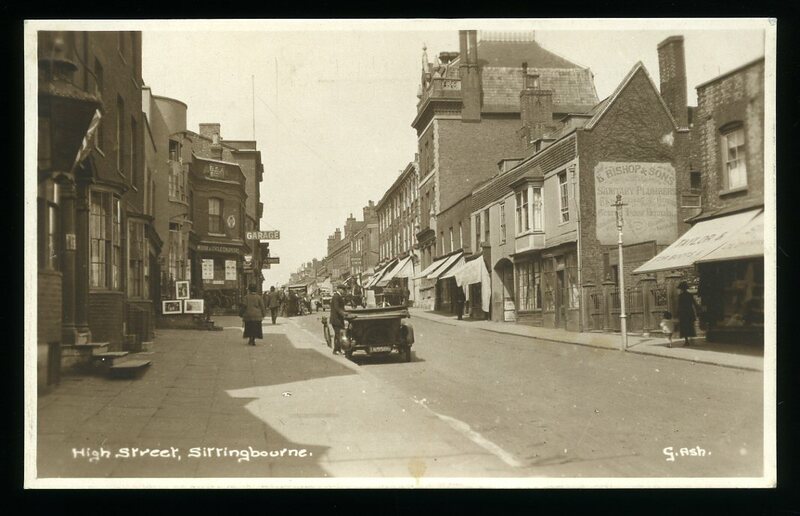 Printed and Photographed by F. M. Ramell, 34 High Street, Sittingbourne circa 1900. Hard back binding in publisher's original dark green cloth covers,silver title lettering to the upper panel. Landscape 7½'' x 9½''. 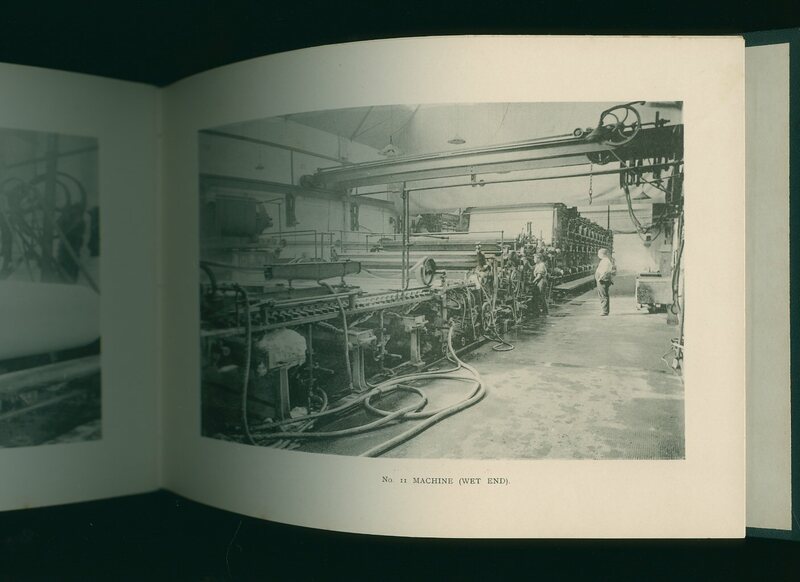 Contains 24 full-page monochrome photographs taken F. M. Ramell of the Paper Mills in Sittingbourne. The last photograph shows a general view of the great fire that destroyed the Mill, May 16th, 1900. Descriptive caption below each photograph. Brown ghosting to the end papers and in Very Good clean and tight condition. Member of the P.B.F.A. 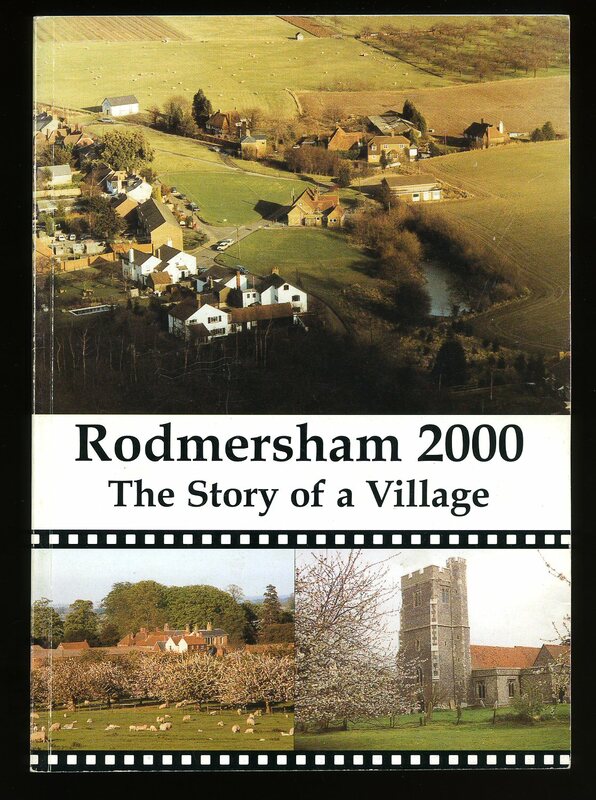 Published by Rodmersham Parish Council, Kent First Edition 2000. 2000. First edition in publisher's original illustrated card wrap covers [softback]. 8vo. 9½'' x 6½''. Contains 79 printed pages of text with colour and monochrome illustrations and photographs throughout. Minimal wear to the edges and in Very Good condition, no dust wrapper as issued. Member of the P.B.F.A. 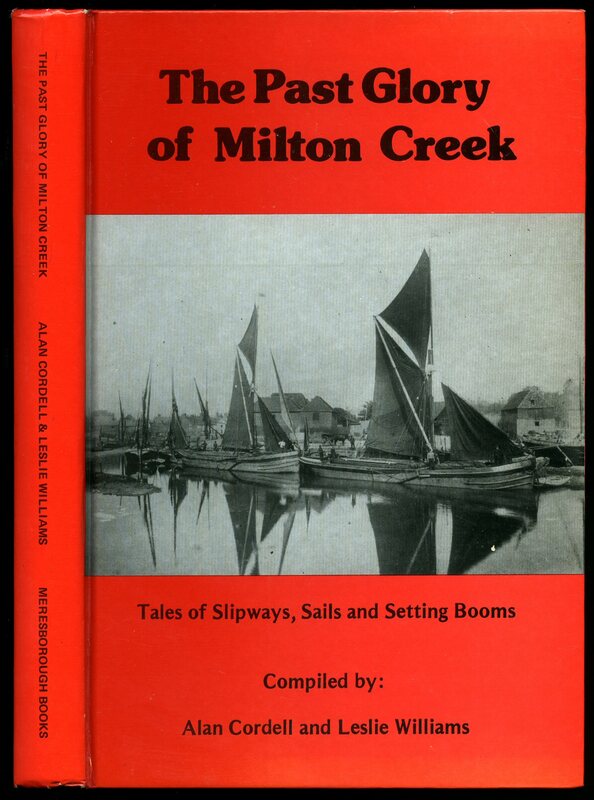 Published by Sutton Publishing Ltd., Phoenix Mill, Thrupp, Stroud, Gloucestershire First Edition 2002. Gloucestershire 2002. 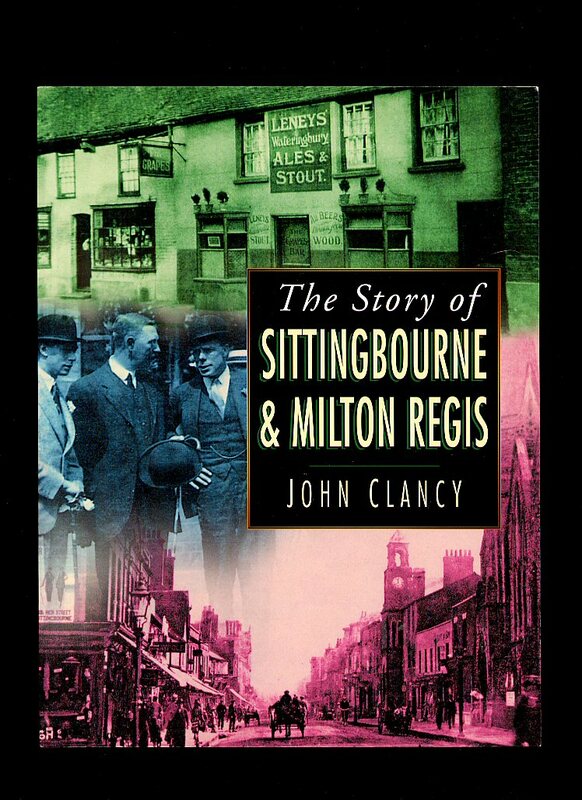 Published by Meresborough Books 7 Station Road, Rainham, Kent First Edition 1985. 1985. Published by Thelma Dudley First Edition 2013. 2013. First edition in publisher's original colour illustrated card wrap covers [soft back]. 4to 11½'' x 8¼''. Newington is a village and civil parish in the Swale district of Kent, England. 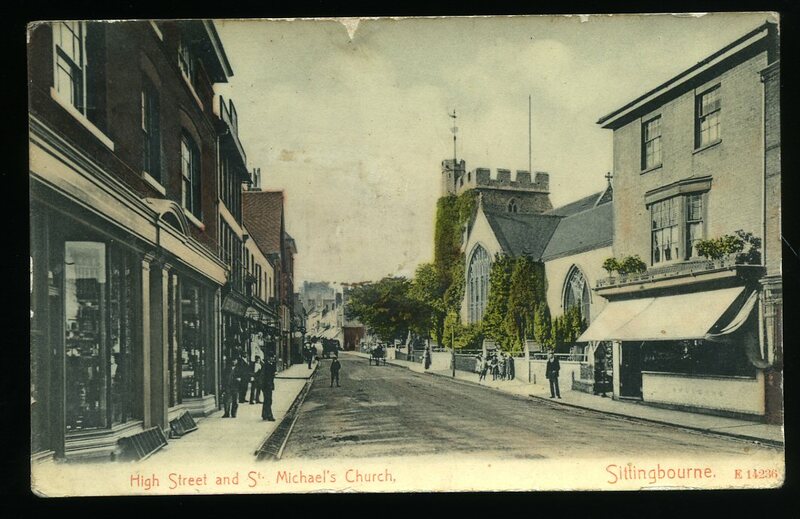 The parish is located beside the A2 road (originally a Roman road) between Rainham to the west and Sittingbourne to the east. It is one of the larger villages out of the parishes surrounding Sittingbourne with a good range of local amenities, shops, restaurant, post office and its own train station. Contains 76 printed pages of text with archive colour and monochrome illustrations and photographs throughout. In Fine condition, no dust wrapper as issued. 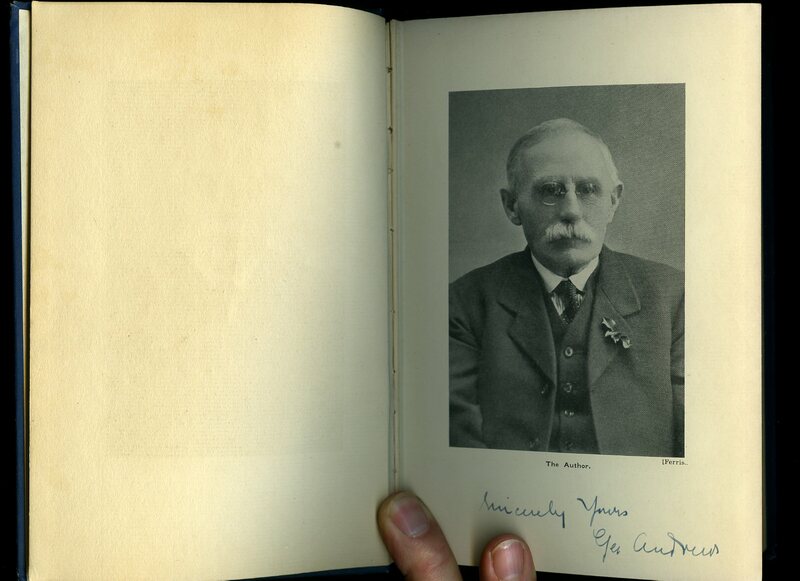 Twice SIGNED by the author inside the front cover 'With Love from Thelma' and 'T. Dudley 31st January 2014'. Member of the P.B.F.A. 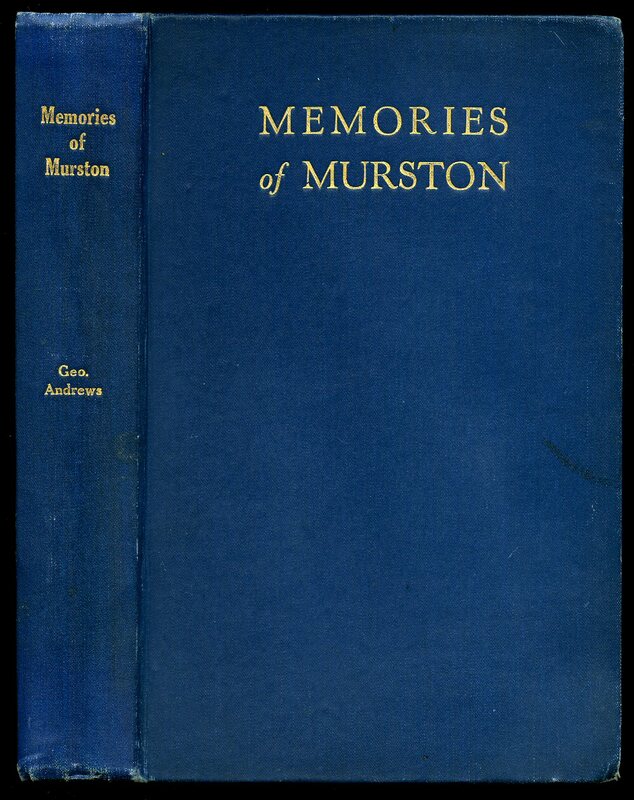 Printed by W. J. Parrett, Ltd., Sittingbourne First Edition 1937. 1937. First edition in publisher's original cream card wrap covers [softback] with pencil drawing of church by author pasted on to front cover. 8vo. 9½'' x 7¼''. Contains 101 printed pages of text illustrated by frontispiece map, 2 plates and 9 whole page drawings, including maps, in text (7 by author). 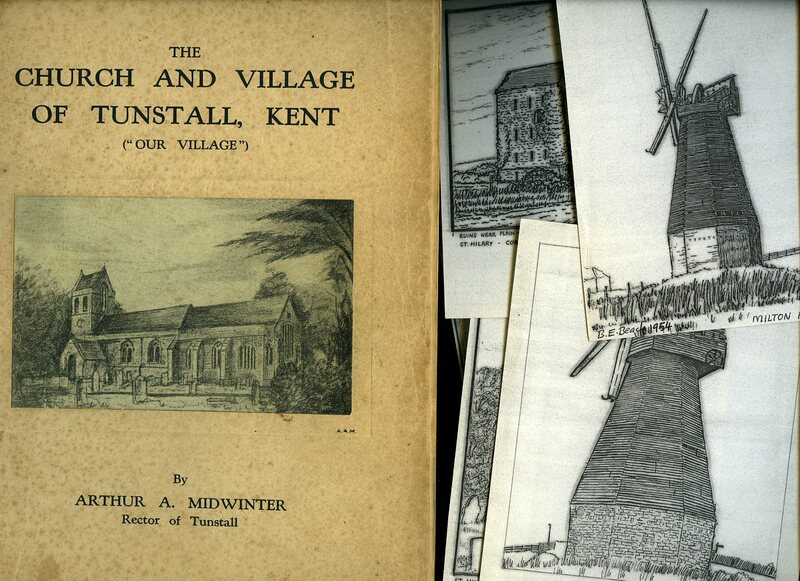 These articles first appeared in the Tunstall Parish Magazine under the general heading of 'Our Village,' between July, 1935, and August, 1937. Loosely enclosed are 5 small pen and ink drawings by B. E. Beach of Milton Regis Mill sketched in 1949. Foxing to the covers and page edges, crude tape repair down the spine. Member of the P.B.F.A.